We sell fresh, dried and canned King Oyster/Pleurotus Nebrodensis. name is pleurotus ferulae. It has very high edibleness and medical value and grows up only from the root of the wild Chinese medicinal herb named asafetida seed. As a rare edible mushroom, pleurotus nebrodensis� fruiting body has beautiful, fat, snowing white and round shape. It is favored by large number of consumers because of its tender taste, crisp. Location: wild pleurotus nebrodensis is only distributed in Qinghe County, Altay, Xinjiang, China, where is asafetida seed distribution region. From May of every year, single fruiting body grows along; normal diameter of a cap of fungus is 10 to 20 centimeters; it looks snowing white. Pleurotus nebrodensis is favored by consumers due to not only the white flesh, tender taste, and the characteristic of all mushroom, but very rich nutrition and high medical value. Nutrition: according to the result of test of Xinjiang Academy of Agriculture Science, protein content of cultivated Qinghe Pleurotus nebrodensis can be twice as Pleurotus ostreatus�; the amount of crude protein is apparently higher than meat; crude fat is considerable low. It consists of 28 sorts of aminophenol human body need and 17 out of which are particular high. In the comparison of other normal vegetable, the content of superoxide dismutase (SOD) is doubled. It can anti-age in metabolism, enhances immunity and peculiarly comprises of the medicinal value that inhibits tumor growth as precious drug ingredient. Furthermore, there are 18 aminophenol, 8 out of which are lysine, arginine, glutamic acid which account for 35% of all aminophenol. Lysine�s content of pleurotus nebrodensis can reach 5.69mg/kg, that�s as 2.8 times higher than pleurotus ostreatus�, while the content of isoleucine and threonine, etc, is twice higher more than pleurotus ostreatus. It also contains a number of mineral composition elements. Pleurotus nebrodensis has 190mg/kg polysaccharide inside, which enhance nonspecific immunity greatly for human beings, therefore, it�s a real natural healthy food. 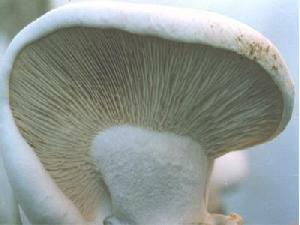 Cooking: Fresh pleurotus nebrodensis could be fried with meat and boiled by cutting as slices. Dried mushroom could be boiled with meat after marinating in 90 ℃ water for 2�4 hours. Company Name: China Junchuang I & E Co., Ltd.